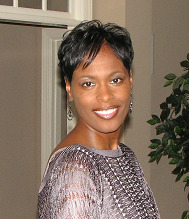 Congratulations to my December Fan of the Month – Yolanda Coger from Lawrenceville, GA! “I am your #1 fan because I have been a fan since your days at the University of Michigan in the 1990’s. I was a fan when you were part of the Fab 5. Then I have followed your career from your beginning in the NBA with the Nuggets. I followed as you went to the Pacers. You then went to my hometown, Chicago, and played for the Bulls. I even stayed loyal when you went to the Raptors, the Knicks and the Suns. I am now a fellow tweeter and I follow you on ESPN. I also participate in your UStream.